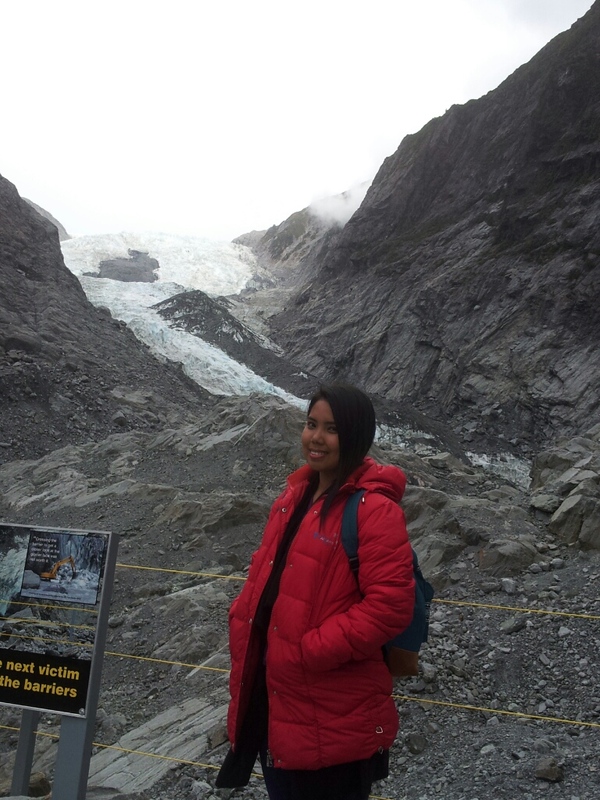 On the 4th day of our New Zealand journey, we did some hiking in Franz Glacier. I have never seen snow before and so this was an exciting journey for me. It was a difficult hike, I'll say because of the very rocky route and I'm wearing my walking shoes :( (reminds me, I need to buy a new pair of rubber shoes. On day 5, one of the best experience we had is taking a helicopter ride to the glacier. We were chance passengers but we all got lucky. 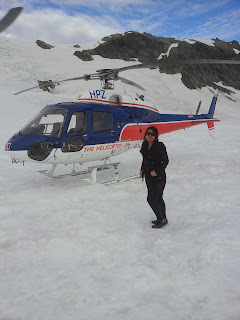 I never rode a helicopter before so there are two first times: helicopter ride and a real glacier walk! 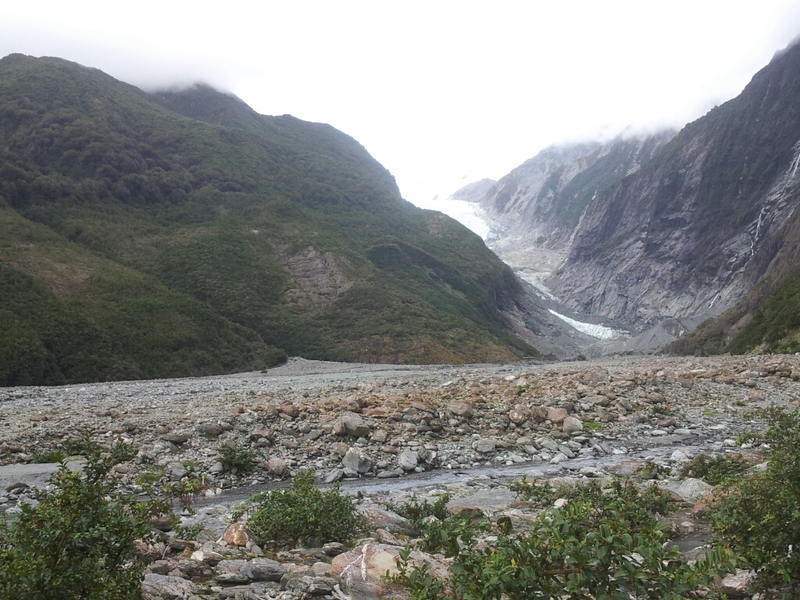 After that ride, we left Fox Glacier driving on one of the scenic routes to Wanaka. On the way, we visited some more hotels including Wilderness Lodge located in Lake Moeraki. We've met the very nice owners who have showed us around. We walked through a forest and ends up in Lake Moeraki where we did some kayaking. Now the tough part is, I've also not done this before. So the nice owner (Dr. Gerry McSweeney who is also a botanist) thought me at first. He first tied his kayak to mine and he guided me until I can finally manage on my own. It was indeed a wonderful experience. 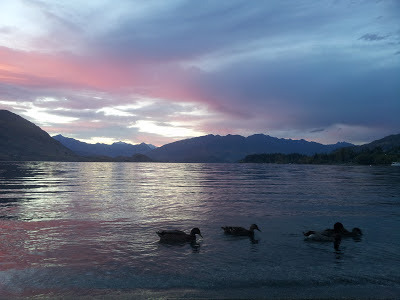 Our trip ends at Lake Wanaka that day. The most beautiful lake I have seen is definitely Lake Wanaka. No wonder, a lot of people fell in love and decided to spend the rest of their lives in that place. Have a look at this truly beautiful sunset.